Two autumn spinning rods: CF - X7 - 28g and 14 - 35g. Before winter, river fish do not take up positions along the river bank, happily waving their fins and calling to the angler “Hey, I am here, catch me “. You have to walk arduously, searching and fishing in different places in the river to find the place where the fish are hidden. This tactic requires the use of proper rod, sometimes even two. When you use the spinning technique in small and rather shallow river and using one type and one size of lures , you can use one spinning rod and stay an effective angler. You should act differently when fishing in a bigger river, with variable depth and current strength. 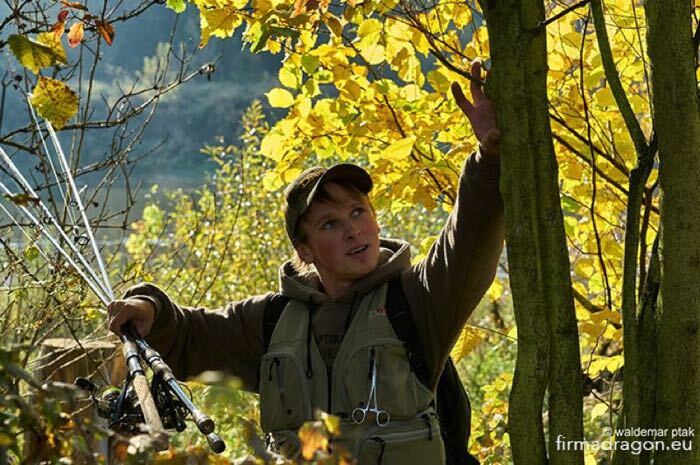 Polish rivers are beautiful, they offer lots of places with fish and variability of configurations Unfortunately there is the other side of the coin, the variability of configurations force the anglers to use heavier, lighter or other types of lures and this requires the use of rod with different parameters. And this is the situation when the angler has to take 2 and sometimes even 3 spinning rods. As examples of the rightness of the decision of taking two spinning rods on the fishery I will adduce three configurations of the fisheries of the low-lying medium or big river. The Ostroga river. Before winter this is the place when asp hunts ( of course it does it quite quietly ), pike and chub, ide and zander. The zone of triangle and reverse current you can fish with lighter rod ( CF-X, t.w. 7 - 28g ). But the zone where there is a bit shallower, what zanders love, and you can meet there chubby asp can be fished with CF-X t.w. 14-35g. With this rod you can cover a long distance, with heavier lure we can defeat the current, jiging quickly we can easily catch zander - we can easily say that this is the fish from this part of the river. In the Vistula river you can find barbel - during spring time. Another configurations in big rivers are slant and bottom. The slants may be easy and very difficult to be fished, what is the result of accessibility for the walking angler and the distance of casting. We need power supply of the blank to manage in the moment of jerk and fight with big and strong fish. 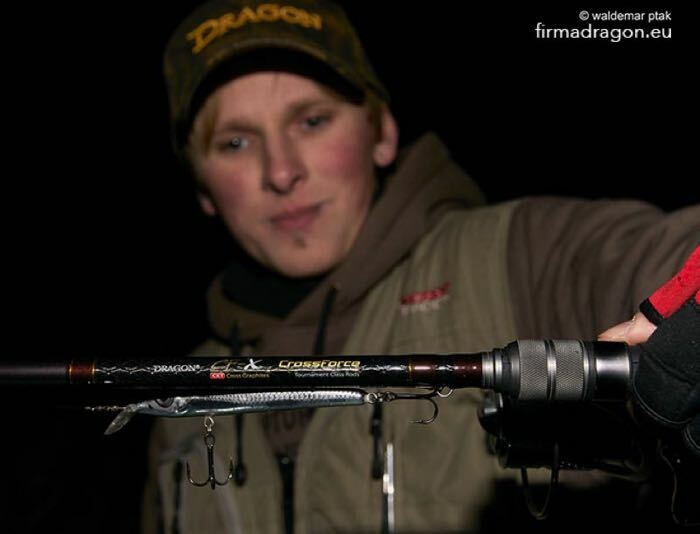 Another necessity of using stronger rod CF- X when fishing the slant zone is the penetration from the main current side. The Vistula river slants are very often washed by the strong current, where you must put and lead the heavier lure. Good solution ( usually ) is the use of stronger spinning rod, such as CF- X t.w. 14 - 35g, it offers great blank’s dynamic, long casting range. Another challenge for the rod is fishing river’ s bottoms with current. In the Odra, Vistula and Bug river you can manage with CF-X t.w. 7-28g. But in the bottom parts of the rivers, or in the narrower and deeper parts, where the current is significantly faster, the only option is CF-X t.w. 14-35g. Sometimes I had to balance on the edge of overloading this blank to manage to succeed. Luckily CF-X spinning rods have great power supply what enables them the implementation of special tasks. You should not forget that rod is not a blank but a set with a reel, lure with proper hook or treble hook. All those elements - plus an angler - must work together to effectively and happily fish in different fisheries. 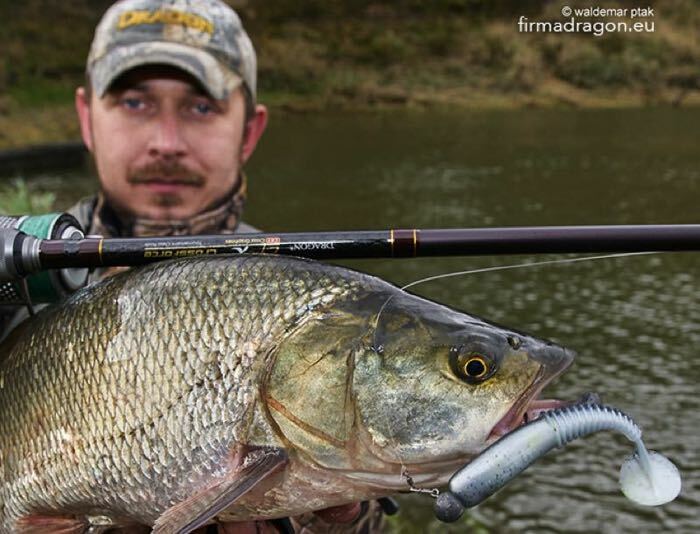 CF- X ( X - fast action ) is the series of very strong rods for fishing for pikes and zanders, from boats and from the bank of the river , as well as for big or medium rivers. Recommended especially for soft lures. In the offer there are 5 spinning rods with casting weight from 4 - 14 g to 21 - 35g.